Since 1995 the Tasman Landcare Group (originally Bangor Landcare) has been improving environmental outcomes in the Tasman Catchment. The group's members make up a 'broad church' of primary producers, Coastcarers, hobby farmers, bushwalkers, fishers and many others from all walks of life. The group has conducted projects in partnership with the Tasman District School, Tasman Council, Tasman Scout Group, several Coastcare groups and NRM South to name a few. Here's some stats (up to 2011)! Plant over 43,700 native plants to rehabilitate and increase native habitat and reduce soil erosion. 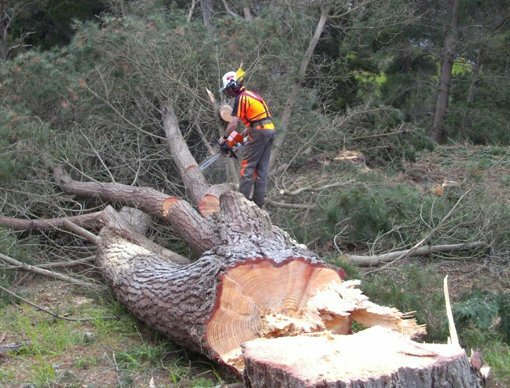 Erect 105km of fencing to protect of 500ha of native vegetation. Install 16 off-stream watering points to reduce impacts on riparian areas. 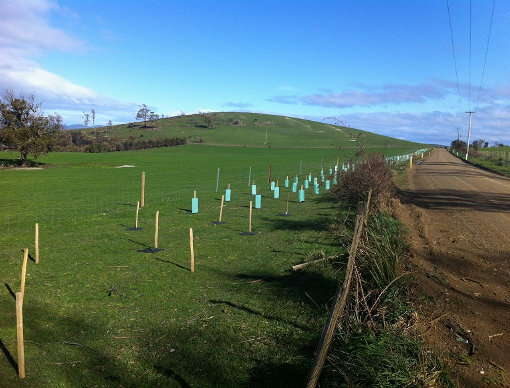 Erect 36km of Wallaby-proof fencing to assist farmers in managing ground cover. Held 17 field days on local properties demonstrating sustainable land management techniques. Completed training in native vegetation management, property management and safe chemical handling. Work with landowners to place conservation covenants on two properties and register 6 under the Land for Widlife program. 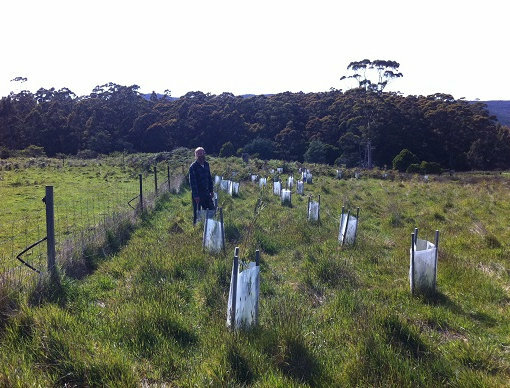 The outcomes of the group's projects have included an increase in native vegetation and improved habitat connectivity across the Tasman Catchment, improved magement of coastal areas and waterways and improved soil health. Field days and workshops have raised the awarness of local landowners and provided opportunities for farmers to learn about innovative and sutainable management techniques from known and respected neighbours.